Super Thumb Magazine Speed Loader Staggered .380 | BUDK.com - Knives & Swords At The Lowest Prices! 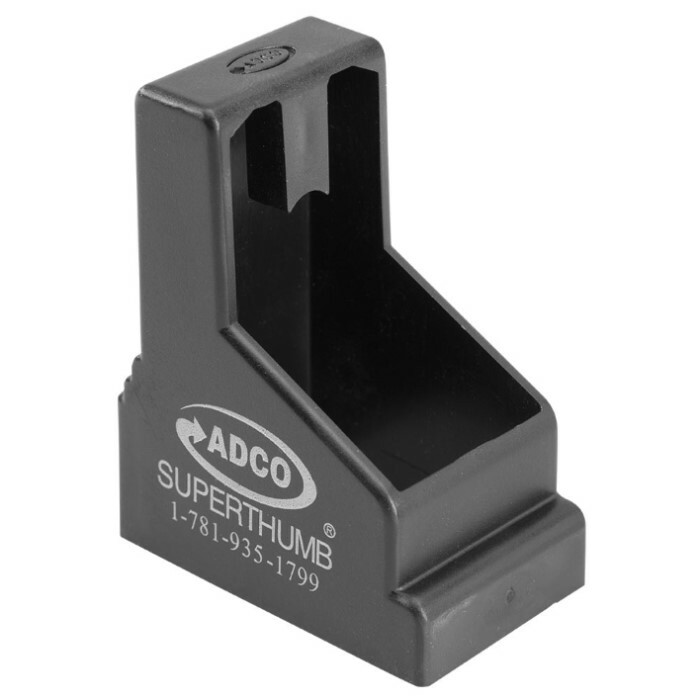 Internal Dimensions: 3/4" x 1 3/16"
The ADCO Super Thumb magazine speed loader takes all of the pain out of loading high capacity magazines with strong springs. Loading magazines becomes a quick, painless procedure, which gives you more time for shooting. 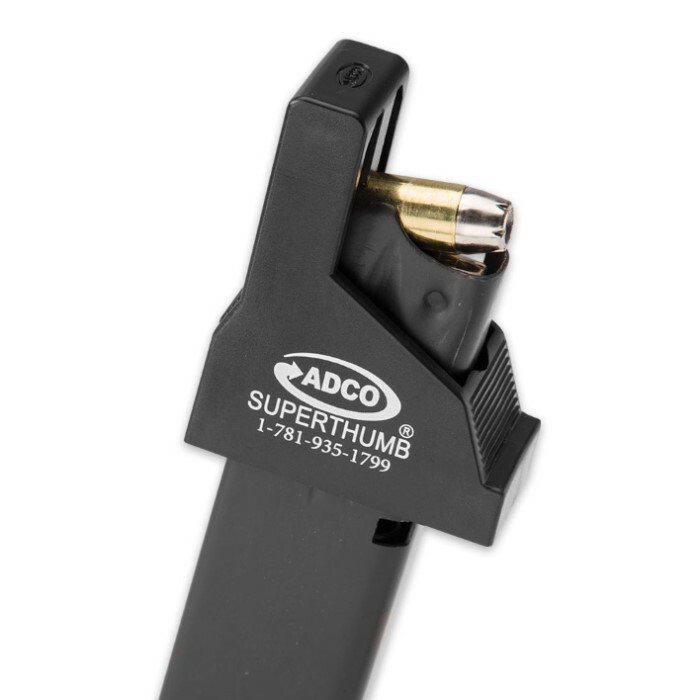 This versatile black polymer loader will handle most staggered magazines and .380 double stack mags. 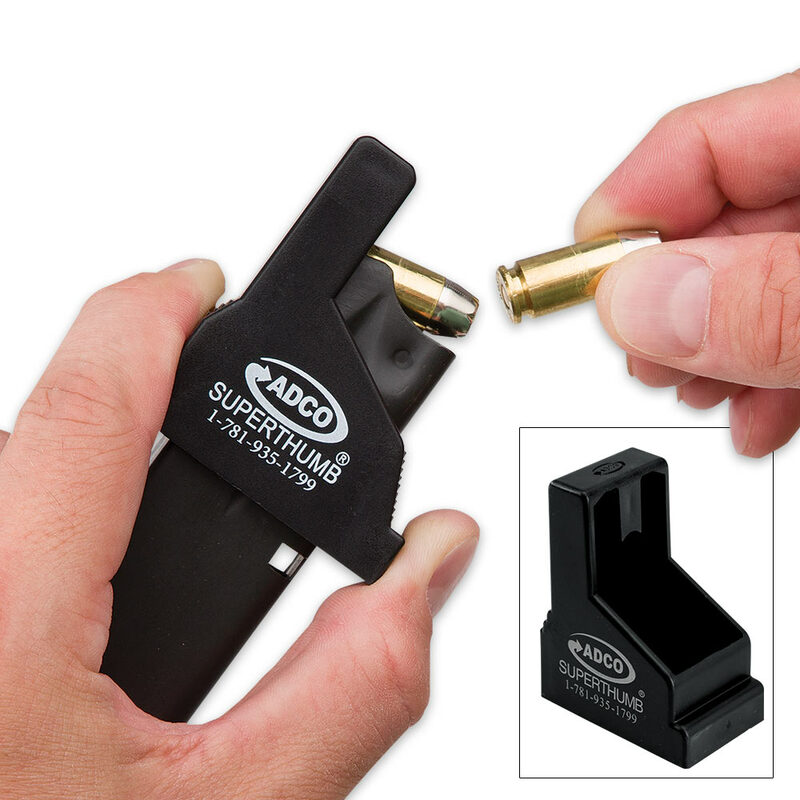 This small piece makes magazine loading easier and lighter on your thumbs.